Favignana. All photos by Jessica Cantlin. The tiny island of Favignana is Sicily turned way, way up. The food, the seas, the hotels, the locals – everything around here is molto fantastico. 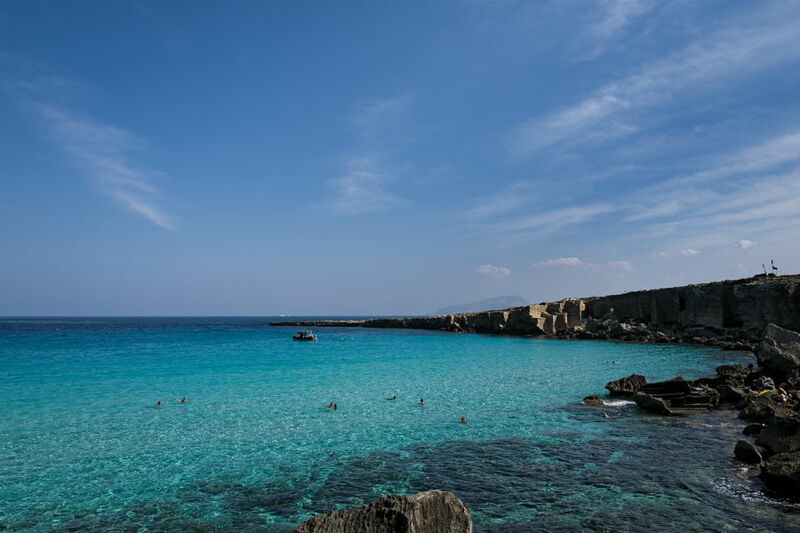 FAVIGNANA, Sicily – Imagine the most unbelievably blue water you have ever seen, then dial up the saturation. That's what the beaches of Favignana are like. 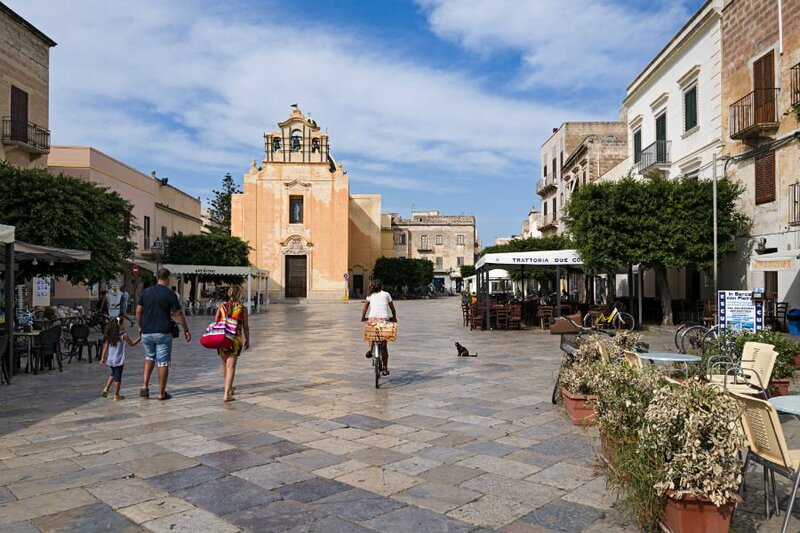 Just off the western coast of Sicily and a short ferry ride from the city of Trapani, Favignana is one of three Egadi Islands. Favignana is dry, dusty, tiny, and quiet. At its busiest, the island nearly runs out of places to park bicycles, and finding towel space at the beach requires a little creativity. It's what makes this pile of rocks in the Mediterranean so idyllic. The most beautiful water ever. For many years, the residents of Favignana relied on the robust tuna industry of the Mediterranean to make their living. 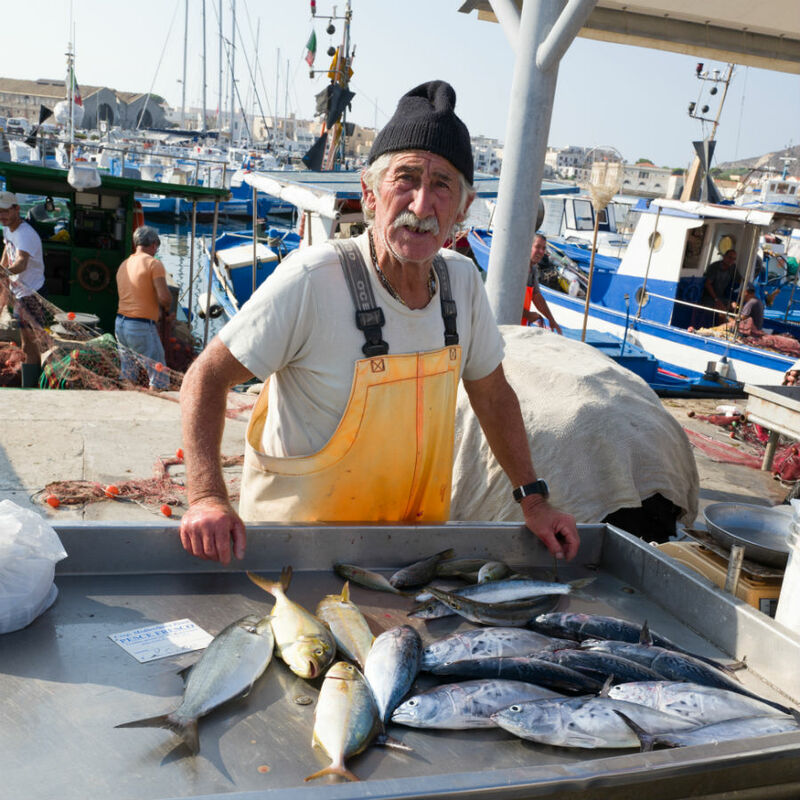 With tuna fishing long since dried up, most of Favignana's population is now seasonal and its economy driven by tourism. Slowly, good restaurants and small boutique hotels are popping up on the island, making it the perfect getaway from the main island. 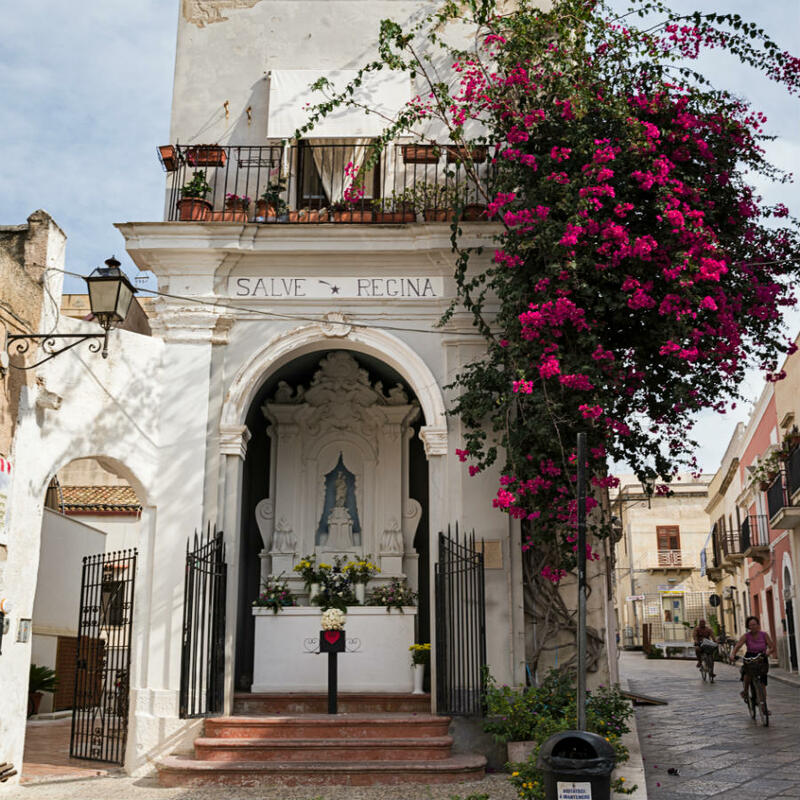 We spent a few days here mid-way through our Sicilian road trip and recall them as the highlight of our vacation. Down a lonely dirt road, on the windswept northern coast of the island, is a true diamond in the rough. 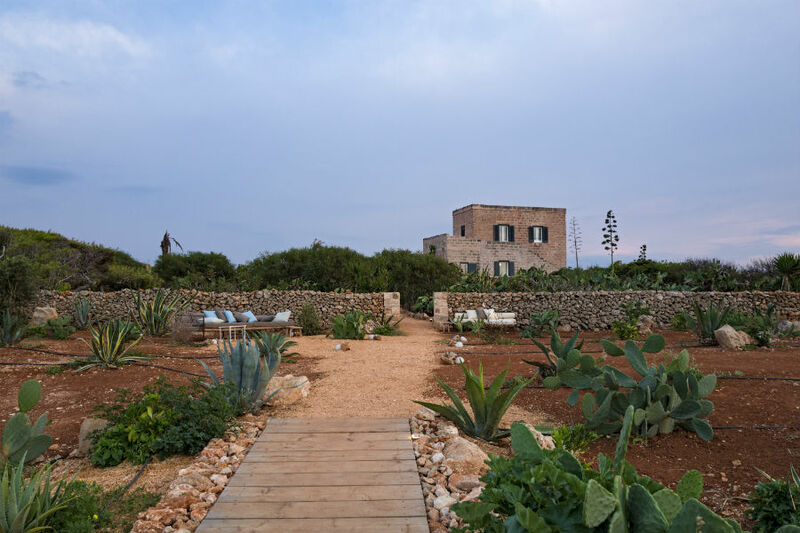 Opened this year in a restored home, Dimora (the term translates as “residence”) sits alone, just above the beach, where it commands an uninterrupted view of the sea below. With only a handful of rooms, the Dimora is surrounded by a lovely garden that encourages you to find peace and quiet. 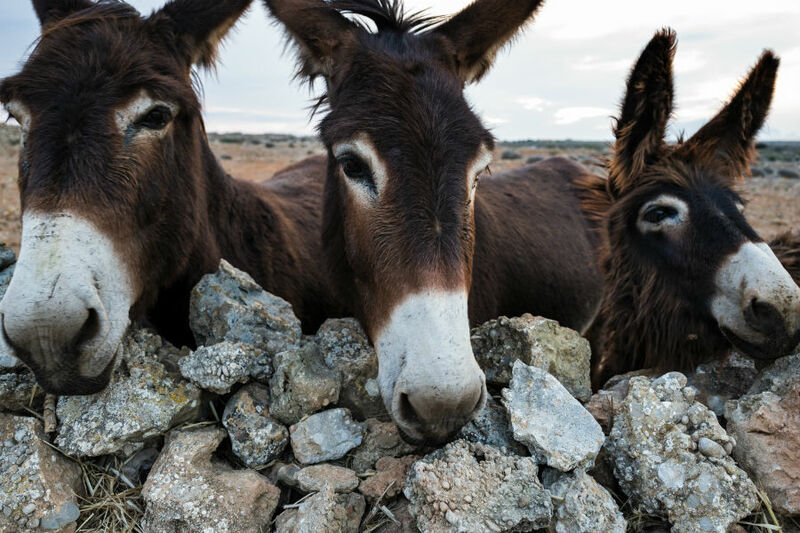 Save for the occasional braying of donkeys next door, there is no noise and there are no neighbors. Arriving at Dimora is like being welcomed into the home of a friend. Stefania and Francesca, the women who run the place, are as much friendly hostesses as they are proprietors. No detail is left unattended and, as their guest, your every wish is their command. 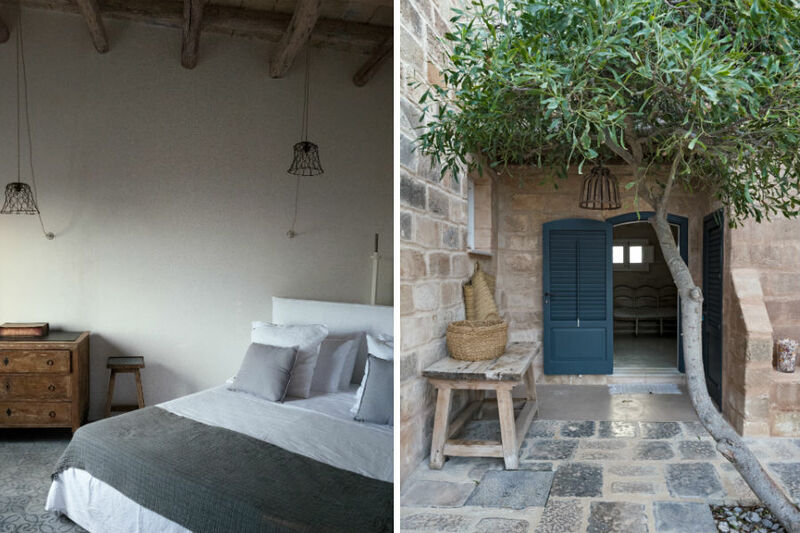 Rooms at Dimora are simply furnished with antiques, comfortable beds, and huge bathtubs. Our upstairs room had an amazing view of the gardens and the sea below. Exposed ceilings revealing the ancient home's original patina gave us pause to reflect on its construction and the magnificent efforts it took to turn this place into a modern oasis. A day at Dimora is unforgettable. You rise with the sun and wander down to the yoga pavilion for morning salutations, or sleep in and enjoy the cozy silence of your room. Breakfast and dinner are served family-style with other guests in the outdoor dining area. In the morning, in addition to local melon and delicious pastries, the specialty of the house is warm sheep's milk ricotta drizzled with local honey. If you are looking for something heartier, they can whip up scrambled eggs with ham. Feel free to linger over one, two, or three cappuccinos, or make the most of the morning and hire a bicycle for a ride to the beach. Life on Favignana is whatever speed you want it to be. In the evening, follow the path below the main house that leads beyond the property to the beach. Stroll along the craggy shores, listen to the crashing waves, and watch the sun dip into the sea. After stretching your legs, return to the hotel for an aperitif in the living room — a perfect house Negroni or a bottle of Catarrato or Carricante, two exceptional white wine varietals produced in Sicily. Linger over your cocktail as the setting sun glows through the windows, bathing the walls in hues of orange and yellow. Drinks are served with a selection of fresh focaccia adorned with roasted tomatoes, eggplant, and local cheeses. With attention like this, it's hard to consider moving from the cozy living room for dinner. A local fisherman and the catch of the day. If you eat dinner at Dimora, you will be treated to a home-cooked, multi-course meal of local specialties. Eggplant is big in this part of the world, so don't be surprised when it appears in different forms at every meal, as perfect eggplant parmesan or sweet and salty caponata. If one of the island's lingering fisherman strikes gold and hooks a bluefin tuna, you'll eat fresh tuna belly. Full from the meal, and several of glasses of wine, new friendships that were formed over aperitivi are cemented over a final glass of amaro. The long table in the outdoor dining room twinkles with candles and conversation. It's evenings like these that make you never want to go home. If Dimora Cala del Pozzo is full, try their sister property, Dimora dell'Olivastro. Should you decide to eat out, there are a few good spots in town that serve mostly pasta and seafood. Osteria del Sotto Sale, Ristorante Sotto Sale, and Due Colonne (Piazza Madrice 76) are located a short stroll from the town square and serve delicious local fare. The water surrounding Favignana is truly the most beautiful I have ever seen. There isn't much to do — in a good way. Explore the island by bicycle and hit the beach. Whether you choose to make your way around the circumference of the island, stopping at different coves, or plant yourself in one spot for the entire day, you can't go wrong. The most famous and most beautiful swimming spots are Cala Azzurra and Cala Rossa. At Cala Rossa, be prepared for a hike down to the water and for a rocky coastline. Water shoes, though horribly unfashionable, are recommended at Cala Rossa. Favignana is accessible by regular ferry from Trapani on Sicily via Liberty Lines. If you have a car, leave it parked in the neighborhood near the port and go to Favignana on foot. Once ashore, bicycles and scooters are available for rent all over the island. Try Noleggio Plaia (Via Florio, 4/5) just beyond the town square for reasonable rates and laid-back service. Worth noting: Italians are weary (and wary) of renting scooters to Americans. Apparently, we have a reputation of not really knowing how to operate them. The best time to visit Favignana is in late spring and early fall when there are fewer tourists but the weather is still very pleasant. This article originally appeared on Feed My Wanderlust and is reprinted here with permission.